Lisa Maurel, M.A., MFT , is an experienced therapist, consultant, lecturer and media expert on relationship issues, mental health, and affirmative therapy for queer people and family systems. Lisa has over 20 years of clinical training and professional experience in family systems, psychodynamic psychotherapy, mindfulness, and feminist systems of thought. This experience informs her approach to clinical work, professional advocacy and community involvement that promotes the principals of dialogue, education, collaboration, and integration as a means of addressing social problems and conflicts within the personal and communal context. Lisa has been practicing as a licensed therapist for 19 years and is passionate about serving the LGBT community by providing therapy, education and resources that empower LGBT people with a multi-cultural and affirming approach. She offers professional training, case consultation, and continuing education, in LGBTQ affirmative therapy. Bryson Greaves, M.A. 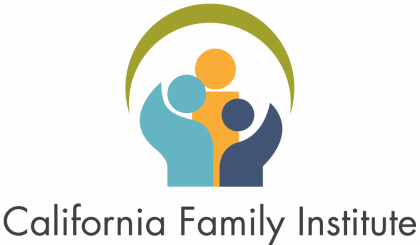 is a Registered Marriage and Family Therapist Intern at New Growth Counseling Services in Carlsbad, California and Clinical Faculty at The California Family Institute in Costa Mesa, California. Bryson completed is Masters Degree at the University of San Diego and is currently working on his PhD at Loma Linda University. His research interests include couples, relationship satisfaction, couple assessment and measurement instruments, and couple therapy theory. Bryson has previously worked in the Couple and Family Clinic at the San Diego Veteran’s Affairs healthcare system. Here he received advanced training in Emotionally Focused Couple Therapy (EFT) and various systemic approaches to treating couples. Bryson has since completed advanced training in EFT through the EFT Externship and Core Skills trainings. Bryson currently teaches EFT to therapists interested in the model at Loma Linda University. He also speaks at various community programs about couple therapy and the use of Emotionally Focused Couple Therapy. Bryson is passionate about using his clinical experience to help couples strengthen relationship bonds, repair from attachment injuries, and increase intimacy, trust, and communication among couples. Bryson enjoys opportunities to teach EFT in other therapists, helping clinicians to feel confident in their ability to work with couples and experience successful outcomes. Chris Hoff, PhD, LMFT is a Licensed Marriage & Family Therapist, MFC #53081. Chris' work is grounded in Narrative theory, an evolving collection of ideas and practices that inform a respectful, collaborative and non pathologising approach to working with people, families and communities. Chris completed is Masters Degree at Pepperdine University and is currently working on his PhD at Loma Linda University. Chris has received advanced narrative therapy training from Stephen Madigan and David Epston at the Vancouver School of Narrative Therapy and has also studied narrative mediation under John Winslade and Gerald Monk. Chris currently teaches narrative therapy for Loma Linda University and lectures on narrative practice in other local universities. Chris is also an experienced meditation teacher giving trainings and workshops on mindfulness practice often in the local area. Chris' research interests include teaching & learning in family therapy, post-oppositional practices, and spirituality as a resiliency factor for families and individuals. Justine D’Arrigo-Patrick, PhD earned her Doctorate in Marriage & Family Therapy from Loma Linda University in Southern California. Her dissertation research explored how relational therapists navigate Postmodern and Critical Theories in clinical practice, specifically focusing on how therapists negotiate engaging in therapeutic activism in relation to issues of social justice while simultaneously embracing a postmodern therapeutic stance. Her clinical and research interests further include multicultural and diversity issues, gender, post-oppositional, postmodern and contemporary family therapy theories and teaching practices. While earning her doctorate, Justine has been an active member of the American Family Therapy Academy (AFTA), serving as the Student Committee Chair and Student Representative to the Board, along with participation in other various academy committees.